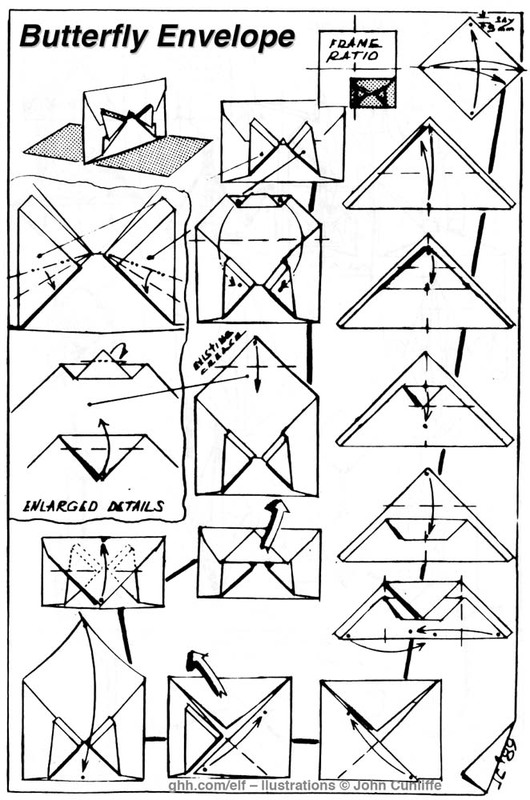 Butterfly Envelope – Fumiaki Kawahata. Made from a square sheet of paper. Loose flap must be glued down to seal.